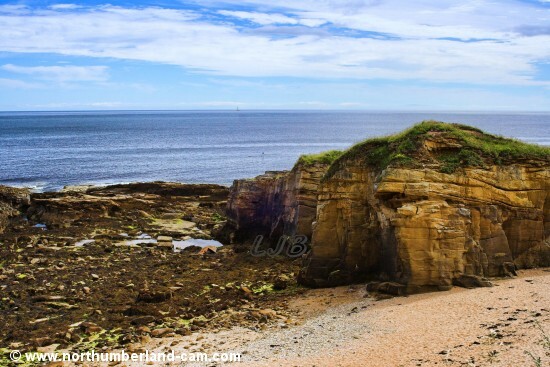 Beach at Rumbling Kern, Howick, Northumberland Coast. 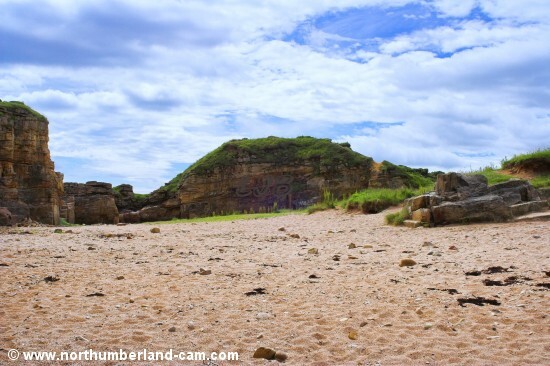 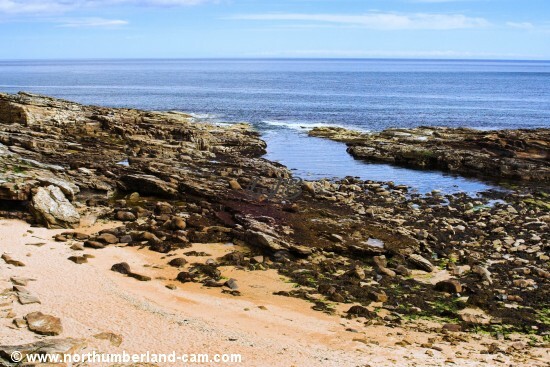 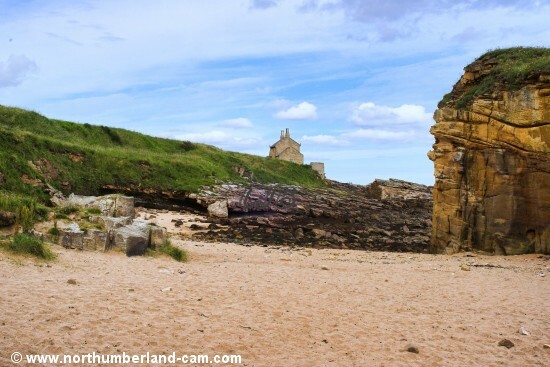 This is a very small beach in a rocky cove at Rumbling Kern near Howick south of Cullernose Point. 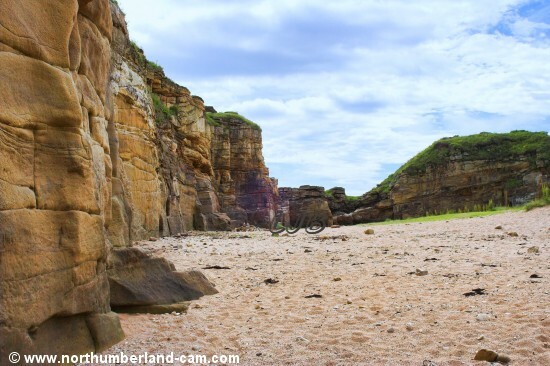 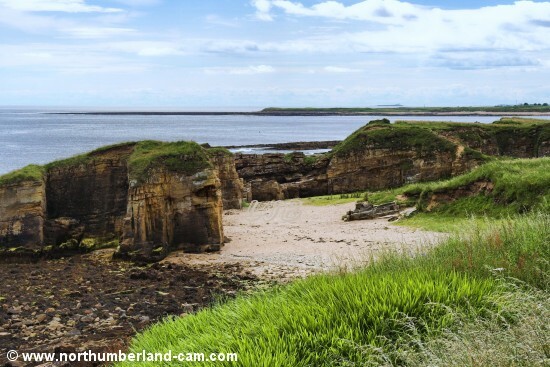 The beach is sheltered behind small cliffs that face inland from the sea. 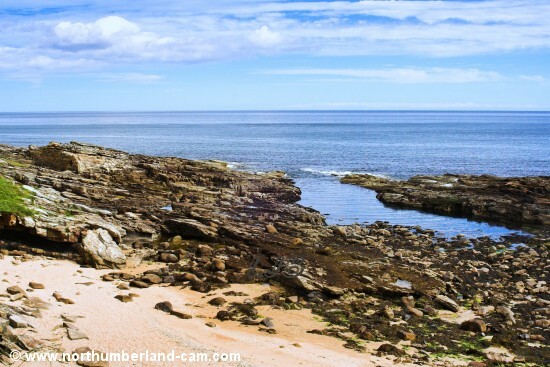 Views looking down to the small beach and rocks at Rumbling Kern. 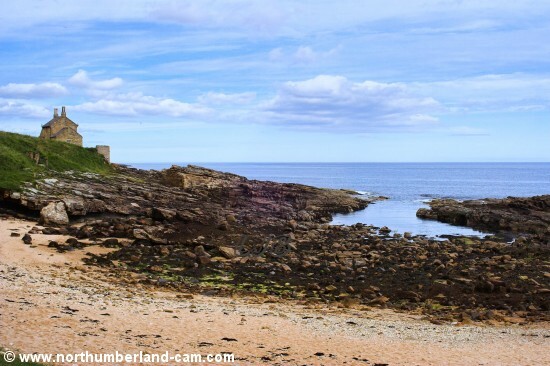 Views along the small beach at Rumbling Kern. 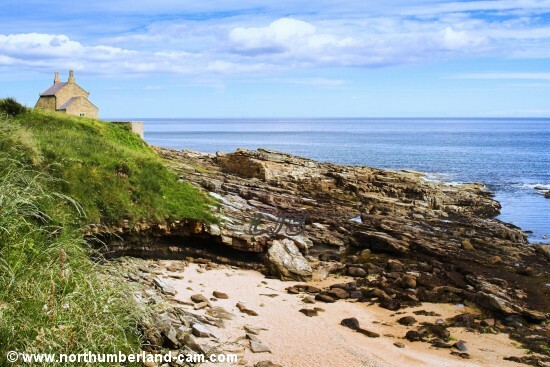 Views of the rocks and Bathing House at Rumbling Kern, Howick.